Question: My dog is 5 years old and I have recently noticed that he is smacking a lot.?? It is almost as if he has peanut butter on the roof of his mouth.?? However, it seems sometimes that it is an effort to prevent him from throwing up.?? He hasn’t actually gotten sick though.?? I was wondering if this is a symptom of something or maybe just a new habit he has picked up over time.?? Thank you for your time. This symptom is a sign of naseau- usually that he is feeling sick. What he first needs is a basic exam. Most common would be gastroenteritis- ie inflamed stomach or heartburn. There are a number of symptomatic at home remedies. I like using ginger, and in more severe cases I will use gravol. Ensure that he is on a high quality easily digestible food. Here is some more info on gastrointestinal disease.. Your pet is throwing up her food or water.He may be throwing up bile on an empty stomach.You may not witness vomiting, but find the evidence on the floor. The list is large, although most common is garbage gut. Your pet consumes something he shouldn???? ?t resulting in vomiting. Other causes include medications ( ie Aspirin), parasites, food allergies, liver or kidney disease, pancreatitis, cancer, infectious causes ( ie parvovirus), metabolic disorders ( thyroid disease, diabetes), physical obstructions ( ie a ball) and primary motility disorders ( the stomach doesn???? ?t contract normally). ASSESS SEVERITY. If your pet is vomiting persistently and unable to retain even water, then wait no longer than 24 hours before seeing your veterinarian. This indicates a severe problem such as an obstruction that needs to be treated with IV fluids and possibly surgery. IF your pet is still drinking and only intermittent vomiting, then you can try some of the home remedies. FASTING TIME. A 24 hour fast is the most important thing you can do to allow your dog???? ?s inflamed stomach to heal. Allow access to controlled amounts of water, but no food. After 24 hours offer bland food such as plain white cooked rice; give equivalent amounts of rice as you do dog or cat food. After 48 hours mix their regular food with rice and don???? ?t fully go to regular food until after 72 hours. A CUP OF TEA. Peppermint Tea is an old remedy used for upset stomachs in people. Brew up a strong cup of tea, but allow it to cool before offering. PEPTOBISMAL. A safe effective remedy for vomiting. HOMEOPATHIC. Nux vomica is an effective homeopathic remedy for vomiting. FOOD ALLERGENS. For dogs and cats with problems of chronic vomiting, I strongly recommend a diet change. Preferably switch to a hypoallergenic food or homemade allergy diet. At the very least, change to a premium quality food. I find that some pets respond to a more natural diet, such as Innova or California Natural. 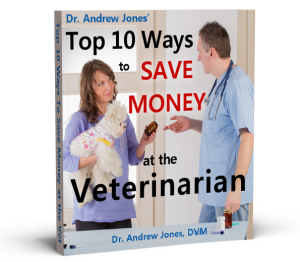 For ways to treat your pet with over 1000 at home remedies that are safe, natural and effective visit the site of my ebook, Veterinary Secrets Revealed.